House Republican Leader Jim Durkin authors key hotline section of sexual harassment bill sent to Governor. The Durkin proposal would create a telephone hotline for persons seeking relief in cases of sexual harassment. 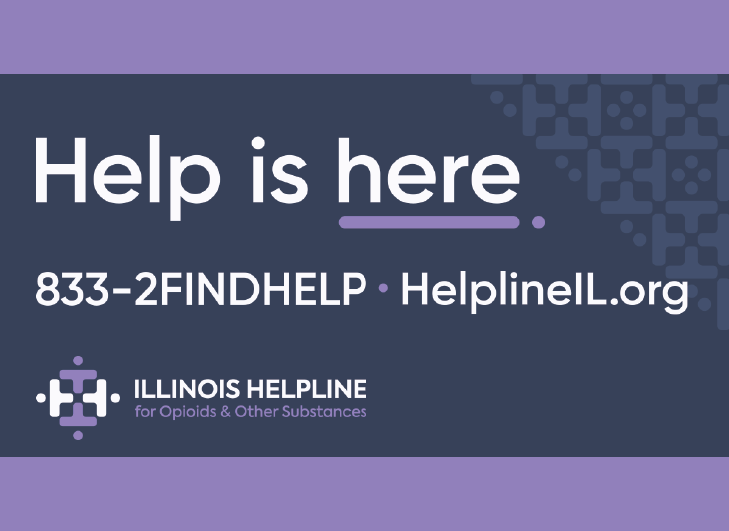 Examples of help that the hotline could provide could include assistance in filing a sexual harassment complaint, referral of a victim to counseling, or referral of a victim to protective services. 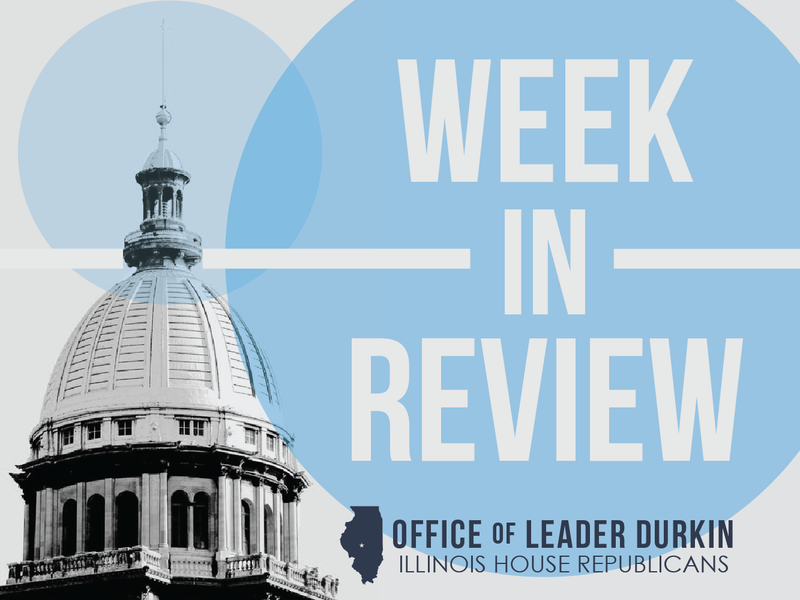 The Durkin proposal was included in SB 402, the omnibus sexual harassment bill that was passed unanimously by the General Assembly this week and sent to the Governor for his signature. Other sections of SB 402 provide for annual sexual harassment training sessions for State officers and employees, and create penalties for State officers and employees who violate the policies set forth in the training. The training sessions will include information to recipients of sexual harassment on how to report this conduct to the hotline and through other pathways. SB 402 was part of a package of sexual harassment reforms passed in the wake of allegations of misconduct at the Capitol. 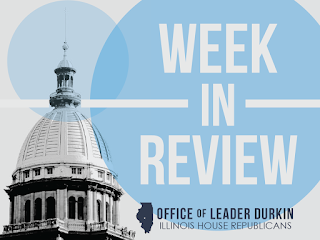 Leader Durkin authored the hotline section of the omnibus bill by sponsoring HB 4148, which was combined with other pieces to create the overall SB 402 sexual harassment bill. Legislative inspector general appointed. The Legislative Ethics Commission, a bipartisan working group within the Illinois General Assembly, has appointed Julie Porter as a special legislative inspector general. A former federal prosecutor in Chicago, Porter will play a key role in the General Assembly’s internal disciplinary process for members and staff. The appointment came in the wake of a nationwide inquiry into sexual harassment in American workplaces. Under Illinois law and the workplace policies of the Illinois General Assembly, sexual harassment is not tolerated. House Republicans and Democrats held private, in-person sexual harassment prevention training programs on Wednesday, November 8 in Springfield. Reports of sexual harassment can be made on a confidential basis to the Legislative Ethics Commission. With approval of the Commission, the special legislative inspector general (LIG) will examine the reports. If a complaint appears to be valid, the LIG may conduct further inquiries, and may initiate a remediation process. In some situations, the remediation process may require a referral of a specific report and case to law enforcement. Bond sale allows State to pay off more than $3 billion in past-due bills. The money was transferred to the Office of the Illinois Comptroller, which was authorized to sign checks to make the payments. The payment cycle reduced the estimated quantity of past-due bills owed by the State from more than $16.5 billion to less than $13.3 billion. Even after this payment cycle, Illinois continues to owe a significant quantity of past-due bills. Illinois has the lowest credit rating of the 50 states, with ratings posted by Moody’s and Standard & Poor’s at the lowest rank available for investment-grade entities qualified to borrow money in the debt markets. The $3 billion funds transfer resulted from major new bond packages issued and sold by the State in October 2017. The bonds were authorized by the General Assembly and were sold bearing interest rates averaging 3.50%. Sale of the debt was profitable for the State and its taxpayers, as it enabled the payoff of a substantial quantity of Illinois debts denominated as past-due bills. Under Illinois law, past-due bills owed by the State of Illinois that remain active and unpaid for a period of time fall under the jurisdiction of the Prompt Payment Act. Prompt Payment Act debts bear higher interest rates than the interest rates on State bonds, and so it made sense for Illinois to sell bonds to pay back part of these past-due bills. Governor Rauner declares harvest emergency. Gov. Bruce Rauner has declared a statewide harvest emergency to assist farmers and grain handlers who are grappling with the fallout of rain-related delays. "Illinois is home to 72,000 farms on 26.7 million acres. We are among the top three corn producers in the nation," Rauner said while visiting Stewart Farms in Yorkville Sunday afternoon. "Moving corn and other crops in a timely and efficient manner affects the bottom line of hard-working farmers. This declaration is an appropriate response to an urgent need." Under a new law Rauner signed Aug. 11, the declaration permits drivers of trucks carrying agricultural commodities over state highways to obtain a free permit to exceed gross vehicle weight limits by 10 percent. Further, local authorities may waive the permit requirement at their discretion. The emergency declaration is in effect for 45 days beginning Nov. 5. "I would like to thank the governor for making this declaration today," said Richard Guebert Jr., president of the Illinois Farm Bureau. "This harvest season emergency declaration will improve the transportation of our crops." Jeff Adkisson, executive vice president of the Grain and Feed Association of Illinois, also praised the governor's action, noting that a bumper crop combined with the harvest delays to compound the situation. "In years when harvest is better than anticipated, crops like corn and soybeans may need to be stored in piles outside of the traditional concrete or steel bins or tanks," he said. "This declaration will allow grain elevators to transport commodities out of their facilities quicker, thus making room for grain stored on the ground to be moved to more suitable storage structures." "Illinois farmers work tirelessly year-round, even more so around harvest," he said. "The Department of Agriculture would like to thank Gov. Rauner for making this declaration and for his support of Illinois farmers." State Rep. Toni McCombie co-sponsored HB 2580, which amended the state vehicle code to allow for exceeding trucks' gross weight limits when a governor declares a harvest emergency. "Mother Nature has presented Illinois farmers with a rainy spring and fall, making this year's harvest challenging," she said. "The State of Illinois was proactive when we foresaw an emergency this year." "Farmers form the backbone of our state's economy," said state Sen. Neil Anderson, a Republican from Andalusia who sponsored the legislation in the Senate. "Declaring a harvest emergency will reduce red tape and allow those farmers who are still in the field to focus on getting their crops in before winter really takes hold. "The sooner farmers can get their commodities to market, the more stable the market will be for the consumer." State Rep. Dan Swanson, a member of the House Agriculture and Conservation Committee, said the rainy planting season caused corn and beans to mature later this fall. "As a result, many farmers are behind in getting their crops harvested," he said. "With this declaration of a harvest emergency, we will allow farmers the ability to get more grain to the storage sites quicker." House panel holds hearing on Dynegy request. The owner of many of Downstate Illinois’ largest generating plants is warning that its facilities are coming under increasing economic challenges from smaller plants that burn natural gas to generate electricity. A typical Dynegy boiler complex burns coal and generates up to 1,000 megawatts. Like all coal-fired boilers, the coal plant will take many hours to fire up or damp down. It is a more time-consuming and labor-intensive process than is used by a plant that burns natural gas. Dynegy, which operates eight coal-fired power plants in central and southern Illinois, has told the General Assembly that, absent relief from the Legislature, they might have to close down four of the eight by 2021. Dynegy has asked the General Assembly to look at proposed legislation that would impose a must-purchase mandate on Illinois electricity wholesalers and retailers. Current law allows an increasing number of retailers, in a number of circumstances, to withhold purchasing from a coal-fired electric power generating plant when the coal-fired plant’s electricity is more expensive than a potential alternative. Dynegy’s proposal would protect these plants from threatened closure by forcing electricity retailers, and their customers, to buy this power and pay for it. 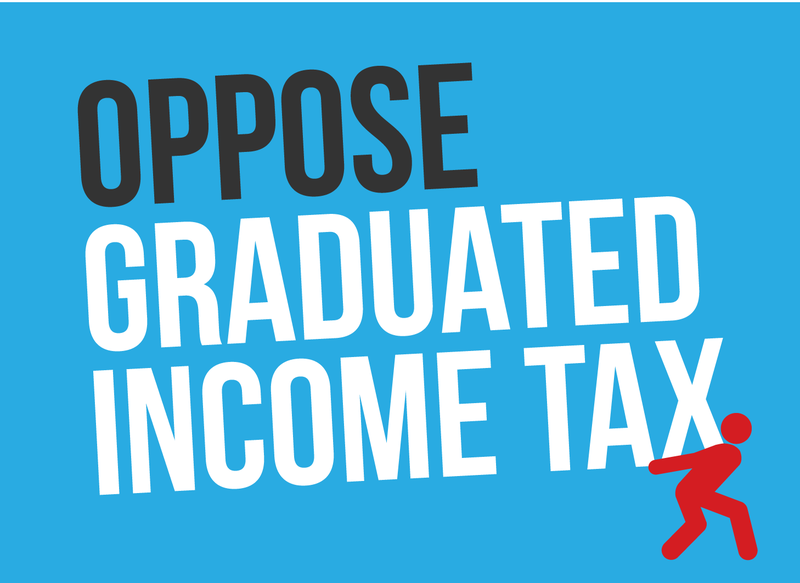 The House and Senate did not take action this week on the proposal. Fairmount Park issues warning about its ability to continue live racing. The historic Metro-East racetrack, which began operations in 1925, has issued a statement that it will be forced to truncate its live horse racing unless relief is granted by the State. Reliefs sought by the track include the installation of slot-machine gambling games or the ability to display historical horse races for betting purposes. Live horse races are expensive to operate. Maintaining thoroughbred horses at a racetrack requires the full-time presence of veterinarians, trainers, jockeys, State of Illinois race inspectors, and many other personnel. When operating as a live racetrack, the racetrack fills about 350 to 400 jobs directly at the track. Other jobs are indirectly created. In 2017, Fairmount operated 41 days of live racing. The Illinois Racing Board has granted permission to Fairmount to operate another 41 days of live horse contests in 2018, but the racetrack has responded that in the absence of relief they will have to reduce their race meeting to 19 racing dates. Illinois horse racing has been negatively affected by changing consumer patterns and the appearance of other wagering opportunities. Two Chicago-area tracks that specialized in harness racing between standardbred horses pulling sulky carts, Balmoral and Maywood, closed permanently at the end of calendar year 2015. Fallen Rockford police officer honored. Rockford Police Officer Jaimie Cox was killed on duty in the early morning hours of Sunday, November 5. The death of Officer Cox is believed to have been associated with a pickup-truck traffic stop performed by the officer. A man believed to have been the truck driver was also found dead at the scene. An investigation of the incident continues. Rep. John Cabello, a Rockford Police Detective, led the Illinois House in a tribute and moment of silence in honor of the fallen law enforcer on Tuesday, November 7. Governor Bruce Rauner asked that flags throughout Illinois be lowered to half-staff for three days, concluding on Saturday, November 11, in Officer Cox’s honor. The officer’s name is expected to be added to the Illinois Police Memorial at the State Capitol in Springfield, a memorial that contains the names of all of the uniformed law enforcement officers of Illinois who have died in the line of duty. Bicentennial campaign will Honor 200 Illinois Veterans. Governor Bruce Rauner and Department of Veterans Affairs Director Erica Jeffries have announced the launch of HONOR 200, a signature program of the Illinois Bicentennial Celebration, honoring the work of 200 veterans whose contributions are above and beyond the call of duty. "Illinois veterans have played a critical role in defining our heritage," Governor Rauner said. "They've served our country, protected our freedoms, and many of them continue to be a positive force in their communities. It's only fitting that we honor them and recognize their contributions to society." "It is a very special privilege to honor our veterans," IDVA Director Jeffries said. "Honor 200 provides us with an opportunity to showcase our veterans and the values they have when it comes to serving our communities." The IDVA will work with veteran's organizations throughout the state to promote HONOR 200 and solicit nominations for those who will be recognized as part of the program. Nominees will be evaluated on their achievements and on the extent to which their contributions have aided, benefited and provided inspiration to their community. Anyone can nominate an Illinois Veteran. Written nominations can be sent to the Illinois Department of Veterans Affairs, 69 W. Washington Street, Chicago, IL 60601 or on-line at www.illinois.gov/veterans. The Official Illinois Bicentennial Celebration will begin this December 3rd, 2017 with events in Springfield and Chicago. The celebration will continue with programs and events throughout 2018, ending with the Bicentennial Birthday Party on December 3rd, 2018 at the United Center. The HONOR 200 veterans will be recognized during the Birthday Gala. For information on the Bicentennial and to find out how your community can participate go to www.illinois200.gov. General Assembly sends state butterfly protection bill to Governor. HB 685 directs units of local government, such as county road districts, not to classify milkweed plants as noxious weeds. Noxious weeds are often killed with chemical herbicides. The milkweed, however, is an essential food source for Illinois’ state insect, the monarch butterfly. Tens of thousands of the brightly-colored butterflies migrate south through Illinois each fall to their winter home in central Mexico. Milkweed eradication could cause some of the insects to starve before they reach their goal.